Consumption in the music biz has created massive fast food for hungry fans, Bands that look good on stage and in the pictures and repeat beats for a year or two. We are still open for solid projects able to hold themselves creatively and in a couple of years when world music is not interesting to anybody can come along with fresh gourmet food for starving audiences. 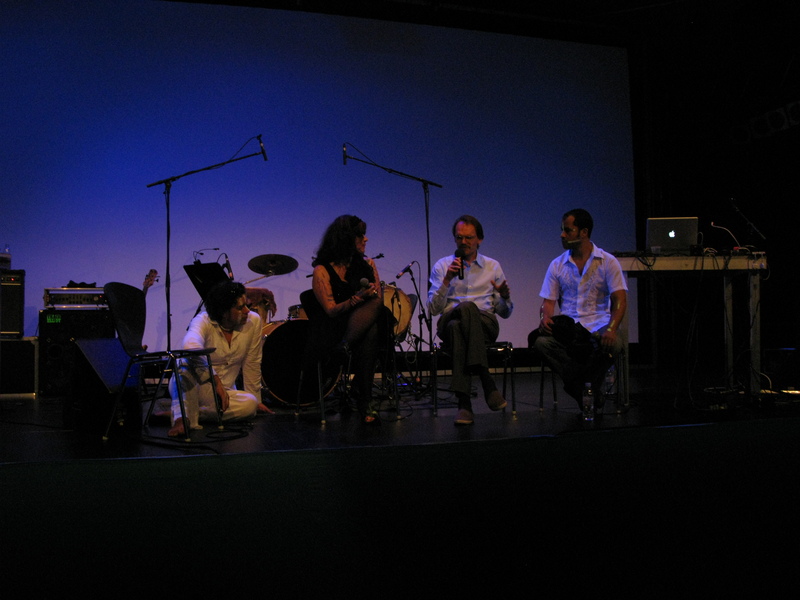 Almost one year of planning, negotiation, confirmations, revisions and last-minute changes were necessary to complete the participation or retroVisor (a Colombia world music band) in Wassermusik 2010. Wassermusik is a festival created in 2008 by the Haus der Kulturen der Welt in Berlin that features music, film, lectures and other artistic expressions around the topic of water. It can be related to the oceans, rivers or life surrounding water landmarks of the planet. The HKW is a place for international contemporary arts and a forum for current developments and discourse. We have perceived it as an ideal location where contemporary culture can be seen but also be experienced, and music bands may have a place to spread their word and creativity. Our link with HKW started one year ago at the MMVV a live music market held on Vic, a small town near Barcelona where we use to attend to keep up to date in the local music business. There we meet Detlef, who with a very sharp idea about the type of projects he wanted in his festival program talk o us in a friendly and open way, just the way we like it and it looked like the kind of project Algo Bueno loves to be involved with. By then, our music projects were going slow since the local music circuit seemed to be reduced to a few music halls around Barcelona, that payed very little, based on entrance sales, not very motivating creatively, economically or ¨communicationally¨ speaking. No interesting musical projects or bands showed in the horizon, all bands and singers were looking, sounding and performing like something we had seen before a thousand times. Music had become a little bit of a world of templates were stylish formulas blind the creative minds in search of success. We still wanted to give music a try, but the local music market was not helping. So again we looked into our friends. retroVisor is a musical project that started exploring dialogs between the colombian traditional music and electronic sounds in a way that seemed very committed to environmental and social issues around he world. One of my best friends from the arts school was involved creating the visuals for the band and exploring a new career in music, so it was the time to be there and lend a hand. In 2008 we signed our first contract with the band to help them promote their work in Spain and Europe, with the purpose to experience the way live and digital music revolution would change the world of communications and culture. Last year, during a show in Amsterdam , we discovered that the band had signed another contract with a manager in Switzerland. It was surprising since we had not been notified by anyone, but as we were talking friends business here, we had no problem sharing projects and supporting the band our research of the music biz was intact and growing. It seems none needs anybody in this business since digital distribution have made things easy for the bands to be connected to venues, audiences and fans. Artists can auto edit, manage their shows, sell their music, get live show contracts and get involved in other projects to promote themselves anywhere in the world. But, is there enough time and mind to create, be excellent, sell, negotiate, blog, reach the fans, make the biz, and still be committed to ideas or some substance? We have now discovered why all bands look the same, sound the same and forget their commitments and identity, there is simply no time to do everything or team that can handle it. Either creativity, identity or promotion may fail when a small group of people have to multitask this way. Bands adopt ¨templates¨ to be able to get along with the amount of work they hold in their backs, for being authors, artists, managers, bloggers, look pretty and try to convince the world they are original and innovative. Few of what we have seen during the last 3 years have an essence and a creative proposal that may last long or hold strong with the demands of fans and media. Few events and festivals care about what the band has to say. Many don´t even have side events like workshops, lectures or artists talks to let the fans get deeper into their artists worlds. The stage seems to be enough. 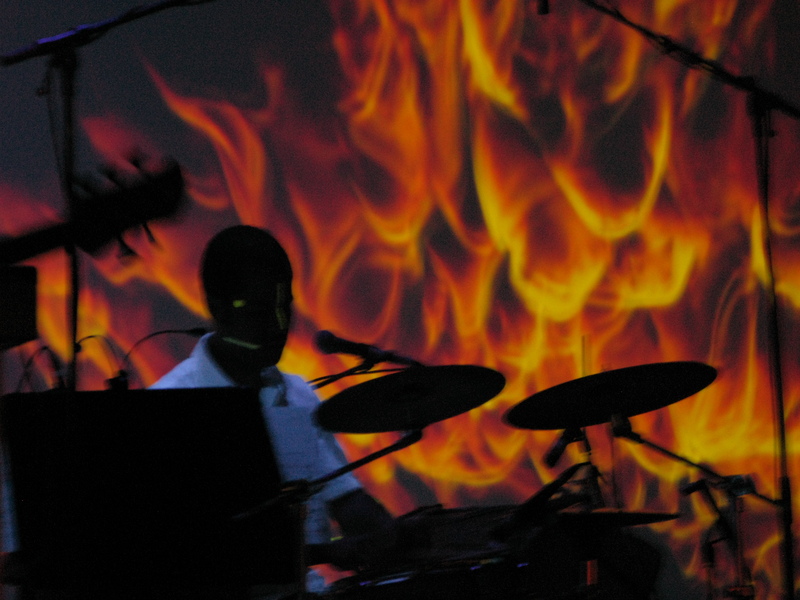 The crisis around musical editions, CDs and DVDs leave just the band´s blog (when updated) or MySpace profile with a few information about the band´s vision of the world and the development of their image. We are still open to projects able to hold themselves creatively and in a couple of years when world music is not interesting to anybody can come along with fresh gourmet food for starving audiences that attend solid festivals like Wassermusik in Berlin. Consumption in the music biz has created massive fast food for hungry fans. Bands that look good on stage and in the pictures and repeat beats for a year or two. Like Burgers we are loving it, because it widens the space for corporate sponsorship and fast projects to reach huge audiences. But like burgers, we are also hating it because it diminishes the quality of pop music and pop culture around the planet.